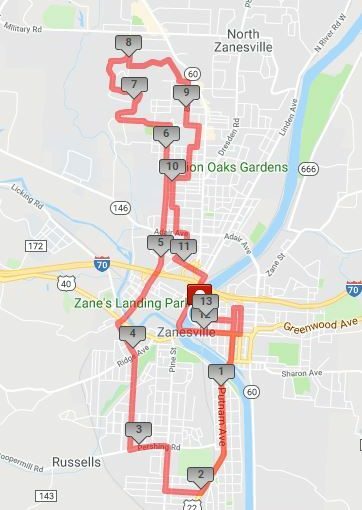 Racers will take part in the first Zanesville Half Marathon on Saturday. The race directors are warning motorists they could encounter traffic delays do to the race and could in some cases be sharing driving lane with runners. These delays and closures will affect roadways between the hours of 6am to 11am. The following roads will be closed for the race: Market from Zane’s Landing to 7th Streeet and Muskingum Avenue. Road reductions will take place on 6th Street, 7th Street, Main Street west from 7th to the Y-Bridge, Pine Street, State Street, Blue Avenue, Taylor Street and Bell Street. Zanesville Police will maintain traffic control and allow motorists to cross intersections between packs of runners.